It is nearly dawn, but no one in my house is awake, my bad leg woke me up. I straighten my spine on the chair as my eyes tread through the orchard in front of my lawn. I extend myself on my chair which has adhered to my daily routine. I sit here every morning since the day my father closed his eyes. The monsoon strikes really hard, the cold wind gushes through my clothes, gauding an austere sense of pain in my midribs, making me slouch a little. It is rather obsolete to commemorate the last time I ever felt warmth, woolen blankets which I draped around me no way seems to reduce the fidgeting of my veins. The rain has stopped but still droplets linger on the leaves fretting down as breeze rattle it. The humidity in air triggers the atrocious cough which mercilessly withers my bronchus. This was the weather once I adored, which never failed to induce a zest in my heart but now a strange fear entraps my heart. The old age has withered me completely leaving me trembling like a leaf, infused with strange dislike for wet weather. The soil is wet, drenched suitable for hard toil, something a farmer like me would have rejoiced at, the out pour from heaven has always been a friend of mine. The inhabitants of my house are awake I assume, I can hear rattling noises from the kitchen, my daughter in law must be awake. I have always considered her as an amenable daughter, but for her I remained a wretched creature, whom she detested wholeheartedly. Maybe my dwindling cough and austere sickness made her detest me. I close my feeble eyes, wrapping my hands around myself to feel warm, though I knew it was just a futile attempt. My skin callous, my reflexes are fragile. Few guests arrived as it is the eighteenth day of my life since my wife left me alone, in this world. I have always been absurd in front of her, her death has etched a scar on my heart ,which seems to augment every passing second. My heart throbs in pain, when my fragile memory spells her name. I loved her more than any compatriot. I can’t deny the fact that I plunged her into misfortunes. I have deprived her a lot of pleasures, but her devotion never wavered, she was all bearing ,encouraging and urbane, but I have been apathetic, howbeit I haven’t loved anyone half the way as I loved her not even myself. She accepted my flaws and believed in my strength transforming me into a better father and grandfather. She made me a real man. We were really young when we embarked on our life together. I was an unruly young man; my wife was much younger with large almond eyes which sparkled in her flawless skin. Her caricature was etched in my heart the very second our eyes met, She was gorgeous even after fifty years of marriage. Though her skin wrinkled, her hair turned grey, she was still beautiful. I can recollect once my granddaughter was lamenting that she wasn’t half the way good looking as her granny. she was fragile like a lifeless flower in death, abandoning me for worse, thrusting a pain so intense in the fathoms of my heart, where I lay scrambled in her exodus memories. My son walked out of the house stiffly, never bothering to provide me the frivolous pleasure of a sideways glance. I am not sure what was the grievous mistake I have committed to induce him to loathe me substantially. He traipsed down the porch ranting”Hey old man, don’t sit here, my friends will be here and I don’t want a feeble old man spitting and coughing in front of my house, do you get it?”He muttered without bothering to turn his credulous head towards me. Tears jerk down my bony cheeks, I am an affluent person, I have showered him the opulence of my hard toil, what was the reason of this abhorrence my son directs towards me? I wish my soul parts my body, than lead such a pathetic life, turning a burden to my son. The piercing pain in my heart aggravated every second, the words that eluded from my sons mouth pierced my heart than the sharpest dagger. The desolation perturbs my heart, the grievous pain when you are out of alternatives, the pain of betrayal. I tried to stand but my legs failed. I scrambled on my feet slowly mounted on my chair. The multitudinous fit of cough attacked me again. I witnessed my blood in my sputum. I knew I am dying, I desperately desired if death embraced me at least a minute early. The trauma lingered for a brief second, slowly harrowed into a painful slumber unknowingly. I was half awake when few people entered my house. I lay withered and my weak eyelids dropping as I skipped my food and nobody bothered. My hunger was quenched by the merciless words uttered by my son. I jerked suddenly as I recognized from my diminishing sight that it was my son’s friends from government sector, as my son and his wife are gusseted officers there. I wished to vanish , to move away, but the pain in my spine did hold me back. I can witness a scorn on my son’s face.”What is that horrendous crime I ever did to him to detest my presence?”I again drifted into a slumber. “But I “I said my voice crumbled by misery, unable to realize what was the mistake I did. I never spit outside the box which I usually spat, and I clean it every day. Even a speck of my spat hasn’t been splattered out. But my son treats me like an uncivilized person. His words tormented my heart like thousand sharp knives pulled into it. My sons temper was allured by my daughter in laws brutal words which nearly broke my heart. I lay awake on my bed staring at the ceiling, even pain was unable to efface the imprints of this troubling incident. The pain was getting worse, but throbbing of my heart was a several million times greater than that of my body. My heart screeched, weeping bitterly, soaked in anguish. I close my eyes stating “I will never be a burden again”. The chair in the porch remained empty forever. PS: This is based on a true story. Well not just based ,this story is true. Well this is a tribute to an old man who died due to cruel words of his beloved son. Let’s wish happy father’s day to this old man in heaven. For, he has been a wonderful father to his cruel son. really dense work Angha. Great narration too. Your brought it out really well. The scene, the feelings and the ultimate ridicule that life can offer, when the very heart that you nurtured, made it what it is today, consider you a burden. .. Thank you nitin,for these kind words.Life is pathetic. Parents should be loved always na! Such an emotional and touching incident! I am sorry I made you cry,there are plenty of cruel sons,if there isnt cruel sons out there?why are the number inhabitants of in old age homes increasing? ?/…reality is always hard ,but we ignore it…..we even I did cry. Very touching Anagha. You portrayed the pain of the father very well.. I was nothing but angry about that jerk … Seriously I can’t imagine how people can even think of treating their own parents like this , who had spend their entire lives to fulfill their demands all the time ..
Btw , Anagha Rocks at narration !! well, a touching story, beautifully expressed. The pain…. Happy fathers day to the son also, for he too must be a father! yes obviously he is a fathers…..I dont have such a big heart to wish him fathers day. thank you shreya,for this old man was a person I was well acquainted with,it was easy to pen down something you see…thank you reading dear. That is so sad, it shall not end well for that couple. You brought it out so well. thank you dear….let them be happy atleast in heaven. Oh but for the young couple, the son’s, their conscience won’t let them be. 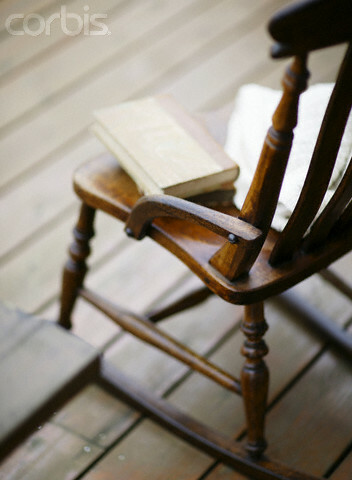 yes……….I dont think they bother much….I feel only I can feel the void,when I visit that house my eyes linger on that old chair remains empty. RIP to that old man. I have one question Anagha? Why not Indian Old people depend on their son and daughter-in-law’s love. Couldn’t they be more independent, emotionally. yes,they should be….If it was not blog I would have send you that grandpa’s picture…it was really hard for him to even get up and walk but till death he havent relied on anyone.But the words of his son whom he loved more than anything else nearly broke his heart,That is called love Kishan,not dependency,that is parents expectation.this grandpa gave all his property to his son…though he was weak never asked anyone for help,he always had many stories to tell,there wasnt a thing he was ignorant,there wasnt a person more loving…his death was really hard. There are many similar kinds of stories in our society that we can relate with this. Remember one in Lagey Raho Munnabhai. I really would love to know about that person after you described fully more if I know a way to connect to you. sorry I reminded you about him…. No no .. It’s okay !! I meant lt was so touchy !